CAS will not automatically generate the user defined temporary directory when the TempDir flag is set. This poses issues when the temporary directory is not always guaranteed to be there. For example, in many environments "c:\temp" gets recreated on reboot and any subfolders will be deleted. We intentionally made the decision not to automatically empty/create the user defined temporary directory. 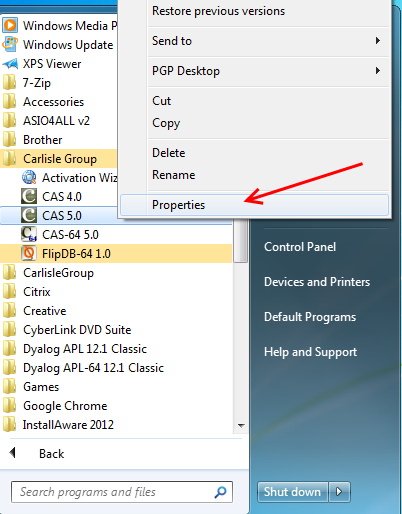 This was done, assuming that a common temporary is defined, so CAS does not delete any files or folders that other applications have created. 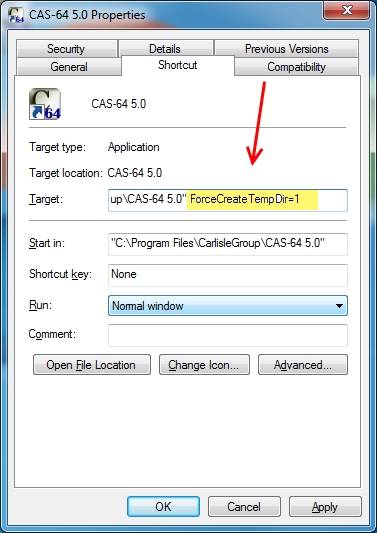 Starting with CAS version 5.0.175 there is a new startup parameter called ForceCreateTempDir. 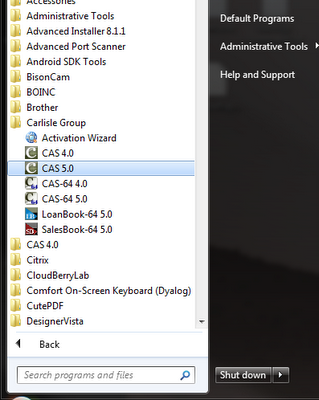 When set to 1, CAS will delete and create the temporary directory on application launch. You will need admin rights to modify your registry. This is the best option when doing a new rollout. Every CAS shortcut will use this value unless the shortcut specifically overwrites the ForceCreateTempDir flag. Add a new String Value and call it "ForceCreateTempDir". Set the "ForceCreateTempDir" value to equal 1.